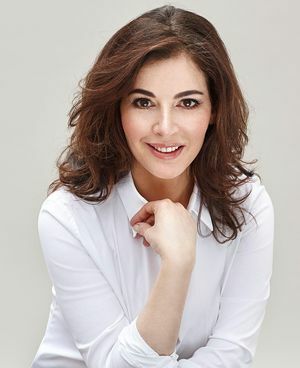 October 2018 marks the 20th anniversary of the publication of Nigella Lawson's seminal How to Eat. A cookbook that would change the way a generation approached food, with a mix of recipes, food philiosophy and heartfelt encouragement, it showed all, from the reluctant to the confident, how to feel truly at home in the kitchen. 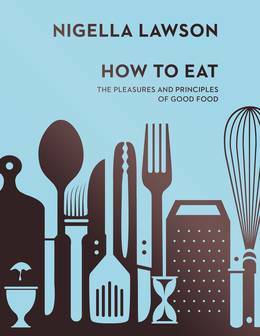 To mark this landmark anniversary, How to Eat has been re-released as a Vintage Classics Anniversary Edition, complete with a brand new introduction by Jeanette Winterson, reaffirming Nigella's place among the greatest food writers of all time. What I made: Weekend Lunch - Beef Stew with Anchovies and Thyme. Fresh Horseradish Sauce with Chives. 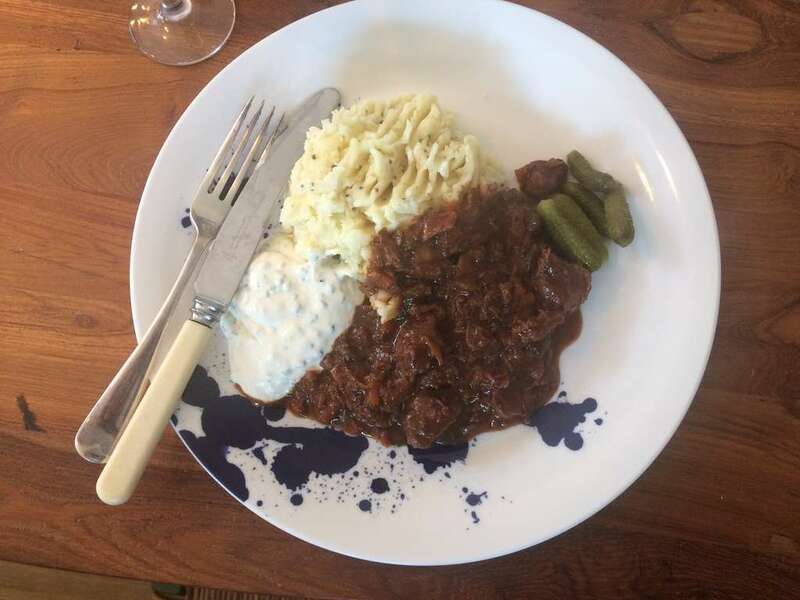 Mashed Potato and Cornichons. What I thought: I love stews: so comforting and brown and unphotogenic. Nigella has written beautifully in recent books about her fondness for the foods rejected by Instagram and this glorious How to Eat menu is a testament to the possibilities of a cookbook free of photos. It is a perfect meal to mark the first cold Sunday of autumn and it is truly, wonderfully stodgy and heart-warming. I have made many beef stews in my time and will happily add this rich, savoury but uncomplicated number to my roster. The horseradish and chive ‘raita’, as Nigella describes it, is luxurious and unexpected with stew but totally logical when you consider roast beef and horseradish sauce. I could happily have eaten a whole bowl of the horseradish with a spoon because I am a monster. The true revelation, though, and the thing that will genuinely change the way I eat is the serving suggestion: cornichons. I love stew. I love cornichons. It had never occurred to me that I could unite those two passions and to such ecstatic effect. I never want to eat a beef stew without cornichons again. Every sharp, bright, crunchy bite of cornichon amidst the dark, hearty stew was a delight and it had me squeaking with pleasure. It’s a game changer and I am indebted to Nigella. What I thought: I love How to Eat. It was actually one of the first cookbooks I bought when I moved to the UK. 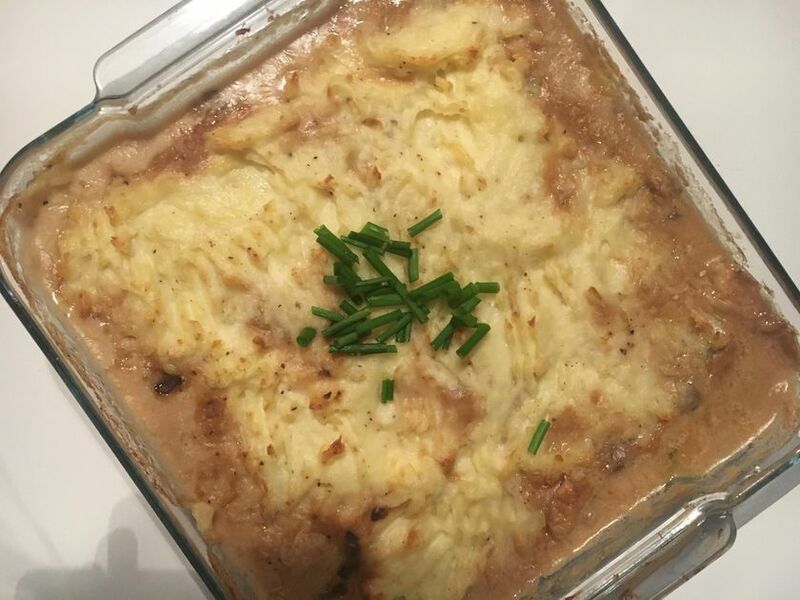 Last night was the first time I cooked the fish and porcini pie but it will definitely become one of my staple dishes. It is perfect for autumn. Its warmth, creaminess and smokiness gave me all the comfort I needed for a Sunday evening. 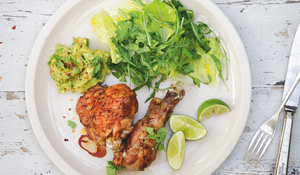 It was extremely easy to make and the ingredients are readily available at the supermarket. What I made: The Slightly More Than Basic Saturday Lunch for 6-8. But I swapped the pudding for the stewed apples from Autumn Lunch for 6. What I thought: Friends with small children were coming for Saturday lunch, so when I was flicking through the menu title jumped out as just what I needed, except being shockingly lazy/self-aware I swapped the pudding for an even easier recipe from the next menu. 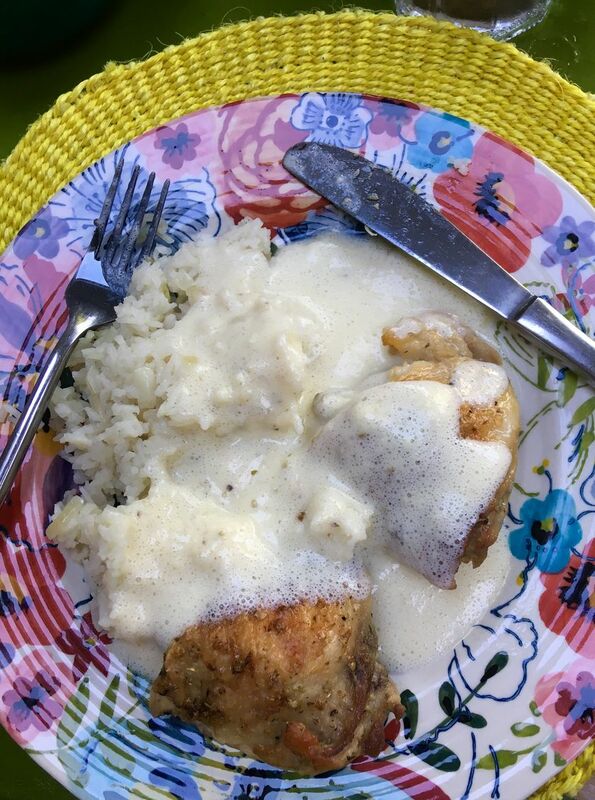 I confess I didn’t read the instructions for the lemon chicken all the way through, so when it came time to make the avgolemono I baulked momentarily as I’d no idea what it was and the kitchen was by then full of guests plus hungry kids underfoot. 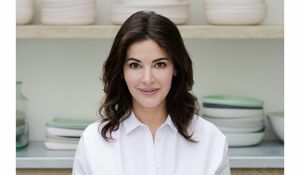 But Nigella’s straightforwardly serene instructions gave me encouragement, and whisking and pouring and calling ‘is it splitting yet?’ and trying to pronounce ‘avgolemono’ provided a bit of entertainment as everyone sat down. Turns out avgolemono is food for the gods: frothy and luxurious and mouth-wateringly flavoursome. I served with pilaf rice and a simple salad of baby gem, having forgotten to make peas as suggested. Nigella’s stewed apples are made with orange zest and juice and cinnamon – totally delicious even when you have a second helping of avgolemono & rice and therefore overcook the apples.